I'm a passionate Software Developer Electrical Engineer Entrepreneur. To Me, Impressive Designs == Less Is More. I love traveling, and I believe that great ideas come from enriched life experiences! My name is Angel Zhang. I am a current Application Developer at MarketAxess, the leading FinTech company developing e-Trading Platform for fixed income instruments. I graduated with my M.S. in Computer Science from Yale University in May of 2018, and I received a B.E. degree in Electrical Engineering from Cooper Union in 2017. I pursued my education in the US alone when I was only sixteen, starting my journey of being independent. A big part of this independence was being able to fully explore my interests and refine my career goals. I have always been involved in building different software projects using various techniques. For example, leading two other members, I built a real-time, multi-player, competitive card game from the ground up. In this project, as a programmer and manager, I designed the overall system architecture and gathered the team together to refine how each component could better communicate in terms of consistency and efficiency. 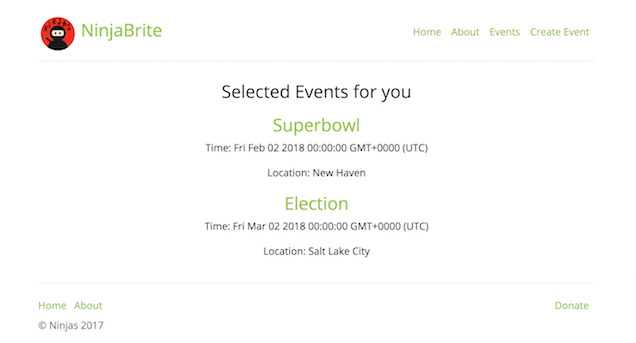 As a software engineer and entrepreneur, I have organized a team of three developers to create an online gallery and marketplace, which has made it into the final round of the national SASETank startup competition. Collaborating with my teammates, I have launched our MVP (minimum viable product). 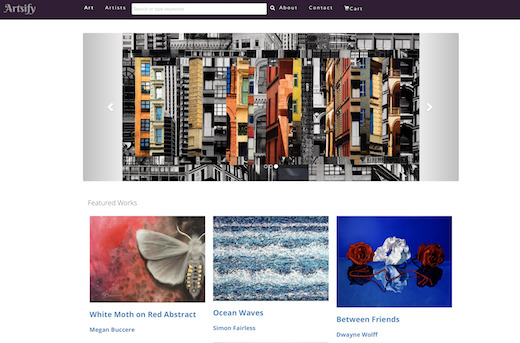 As a software developer, I designed user-friendly webpages from the ground up, constructed a database based on my previous knowledge, and researched how better to implement a search engine for the website. Meanwhile, as a startup founder, I walked out of my comfort zone and started constructing and pivoting the business model through conducting, gathering and analyzing the information from our massive marketing researches. In addition, I initiated connections with school alumni, art galleries, and hospitals to test our business hypotheses, to discover our potential customers, and finally to adapt swift, necessary changes accordingly. I believe that empowered by technology, e-commerce selling platforms would continue to generate considerable revenue, and I am creative in my approach to problem solving, especially in this fast-paced business growing and evolving environments. I’d be very interested in discussing whether I can be of any benefit to your team. Looking forward to hearing from you very soon, and thank you in advance. *You can follow the link to learn more about me, outside of work. The leading fixed income electronic trading platform for institutional investors and dealers. Access the global credit network today. 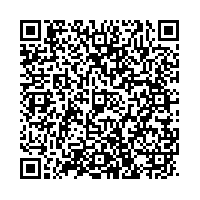 •	Enhance and support API solutions and strategies to the MarketAxess e-Trading Platform fixed income instrumeents. Duties are performed using Oracle, Java, Gradle, Python, JMS Messaging, FIX Protocol to design a redundant, low latency, multi-threaded system. • Projects include software development for handling the processing of Orders from external Order Management/Execution Management Systems, sending Post Trade Messages, Allocation services, Client and Dealer Trading APIs, Market Data Feeds, Regulatory Reporting services, Settlement services, and other internal monitoring. •	Work closely with Business Analysts, Quality Assurance, Customer Integration Teams discussing specifications, test plans, and customer setup. Collaborate with Production Support investigating and resolving issues which arise in the Production environment. 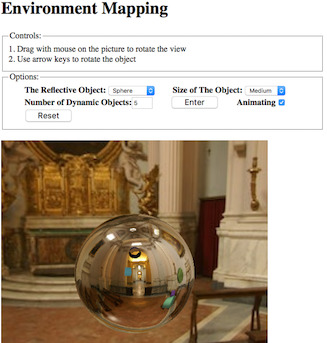 •	Present technical walkthrough documentation describing work performed throughout each release cycle to various teams. • Launched the minimum-viable-product(MVP) in May, and continued to maintain the website service and update the product features weekly. •	Delegated team to financial stability oversight, marketing campaign design, and software developments. Connected with potential influencers, suppliers, and clients. Conducted market researches, competitive analysis, and financial projections, tested business hypotheses, and quickly adapted feedbacks. •	Collaborated and performed pitch to prospective artists, potential investors, and startup coaches. One of four finalists in the national SASETank 2017 entrepreneurial competition, and will present in the SASE national conference in October. •	Instructed students on using MATLAB, a leading computational mathematics platform for engineers and scientists; One-contact hour every week. •	Developed syllabus through discussions with the department Dean, prepared weekly presentations for a class of 15 students, and hosted office hours. Designed, assigned, and graded select problem sets throughout the course. Cooperated students’ feedbacks into course schedule. •	Collaborated with multi-company session for IoT Demo Preparation at Intel Developer Forum (IDF) 2015 San Francisco. •	Designed an architecture for Big Data system and provided platform solutions including hardware and software approaches to clients. •	Partnered with Intel internal software teams and provided support at the customer site. •	Customized the design of ARM cluster for the development of image processing softwaCustomized the design of ARM cluster for the development of image processing software under the supervision of the head of hardware department. • Led a team of four, and implemented three different models as image classifiers to distinguish dogs and cat. •	Designed a simple convolutional neural network architecture with five layers as a baseline, then further expanded the depth of the network, and fine tuned learning rate, filter sizes, stride, dropout regularization rate to optimize resulting accuracies. 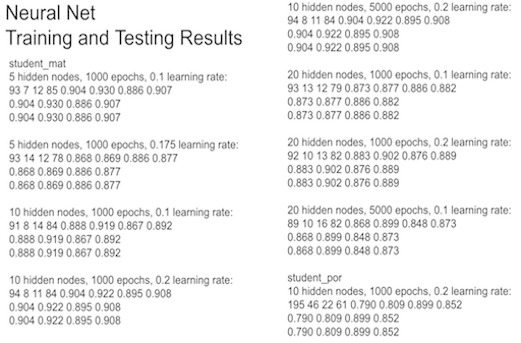 Finally utilized transfer learning by adopting the pre-trained VGG16 network model and a two-step fine-tuning scheme to enhance the performance, and achieved the highest accuracy of 97.8%, being 3.897% higher than the average of publicly documented records. •	Continuously tested each release against automated tests along with SQL injections, CSRF, and XSS. Applied Google Analytics to conduct an A/B test and perform traffic analysis. • Practiced SCRUM and Agile software process with effective use of Git for version control and TrelloBoard for managing product and sprint backlogs. Hosted weekly meetings for sprint planning and retrospective, and documented the progress as sprint reports. 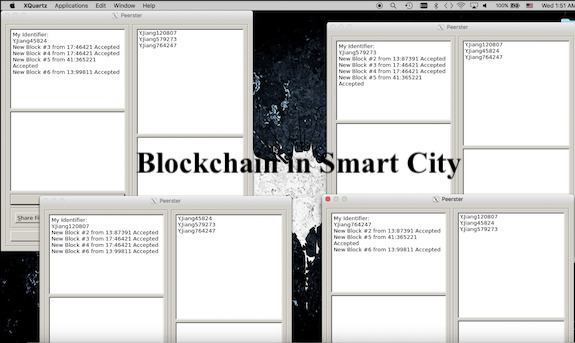 •	Worked in a team of two, and deployed Blockchain on a peer-to-peer system in C++, considering a specific Smart City scenario, where hashed information of the image and video from surveillance cameras are managed and shared by multiple IoT nodes for decentralization and public auditing purposes. •	Created a real-time web monitoring application to visualize all the information contained in the Blockchian blocks. 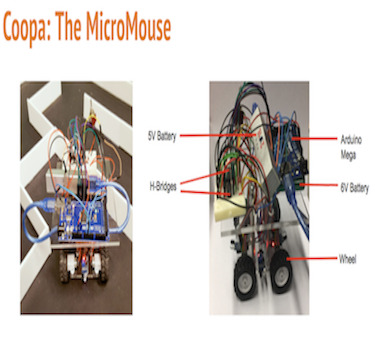 •	Led a team of three, and designed the system architecture of a robot mouse, cooperating locomotion, sensing, control, and software subsystems so that the robot autonomously solves a 16-by-16 random maze in the Micromouse Competition hosted by Institute of Electrical and Electronics Engineers(IEEE). •	Invented a motion calibration algorithm in Arduino, and implemented a maze solving algorithm based on Flood Fill Algorithm. •	Generated documentations, created posters, developed presentations, prepared live demos for monthly school-wide panel critique. •	Developed a power point and demo cases to show the challenges and the accomplishments of the final product to the class. 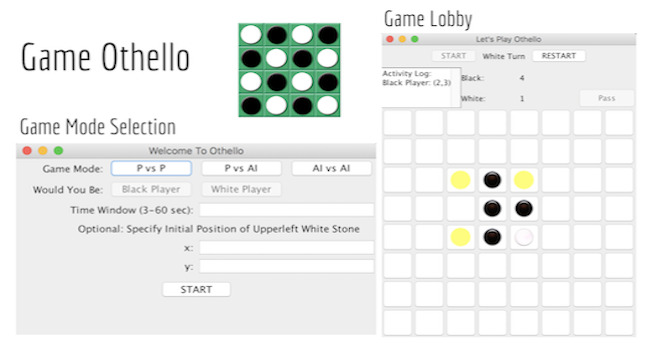 •	Produced a game-playing program, which plays Othello against users, based on the Minimax Search with Alpha-Beta Pruning Algorithm in Java. •	Designed a game GUI in java swing, indicating scores, a history log of both players’ moves, and next possible moves. • Developed a training program of a neural network based on the Back-propagation Algorithm in C++. •	Designed an online version of card game SET, allowing users to customize game modes and to play against each other in real time. 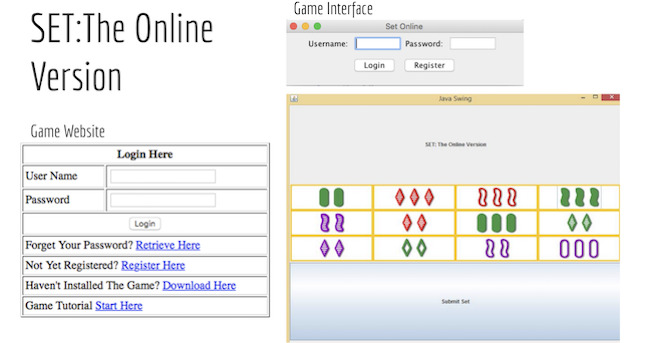 •	Led design of system architecture based on client-server model, constructed database in MySQL, implemented game website in JSP, and created game-login GUI in Java swing. •	Presented the final product to the classmates and obtained their feedbacks. 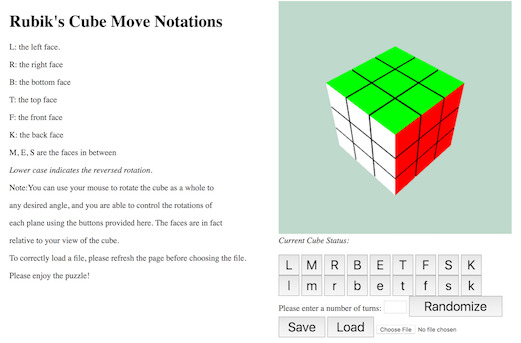 •	Designed a program that takes a description of an abstract network and simulates its operation. •	Implemented network components, including hosts, routers, and links, routing algorithm based on Dijkstra's algorithm, and traffic congestion algorithm based on transport layer protocols such TCP as and its variants. •	Designed and built an audio amplifier using two common emitter voltage amplifiers, a Darlington pair current amplifier, and a Class AB push-pull output stage. •	Designed and built an op-amp using only discrete components; combined stages including a differential amplifier input stage, a voltage and current amplification stage, and a Class AB push-pull output stag. •	Applied different data structures to further implement the following algorithm projects: Sorting Algorithms Optimization, Spelling Check Program, Dijkstra's Algorithm, and Dynamic Programming: Merges String Problem. 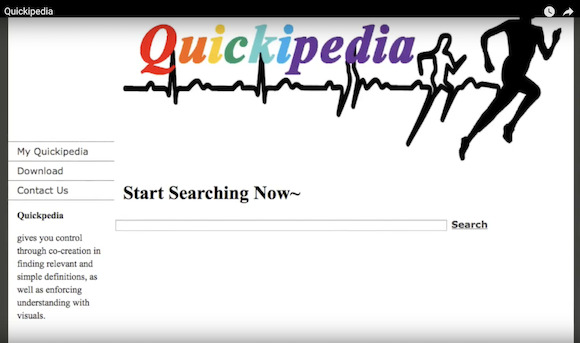 •	Simulated a startup and created a web service product, Quickipedia, which could facilitate classroom discussions through annotation of web articles with teacher supervision. •	Presented the product demo to the classmates and mentors and obtained their feedbacks. Thank you for visiting out my profile.